Every baby has fontanelles, but do you know what they are? This is just a fancy word to describe the soft spots on a baby’s head. 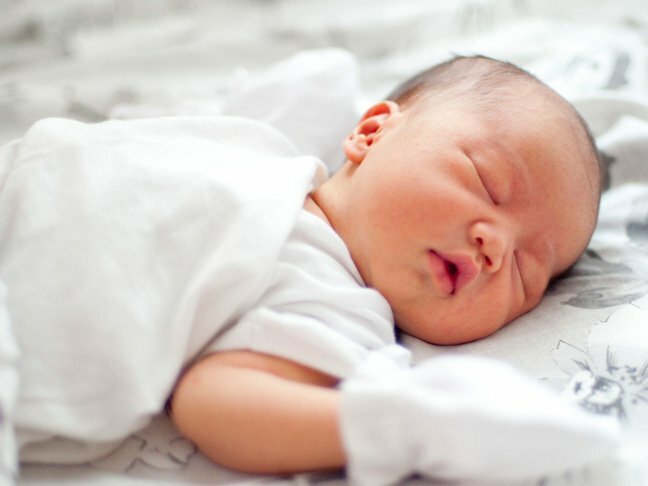 Read on to learn the basics about soft spots and find out how to properly care for your baby’s head during their first months of life. The adult human skull is comprised of individual bones that are fused together. Babies, though, still have space between the bones. This allows the head to pass through the birth canal and gives the brain room to grow. Instead of solid bone, these areas, known as soft spots, are covered with protective membranes. Where are baby’s soft spots? There are two primary soft spots. The smaller one is at the back of the head and is triangularly shaped. It is known as the posterior fontanelle. The larger one is on the top of the head. It is shaped like a diamond and called the anterior fontanelle. How soft is a baby’s soft spot? The membrane between the bones is pretty strong, so a soft spot is tough enough to handle the rigors of everyday life, including hair washing. Is it safe to touch a baby’s soft spot? You can touch these spots. Protective skin, membrane and fluid lie between your hand and your baby’s brain. How long does it take for the soft spots to close? The posterior fontanelle closes first. Most babies’ back soft spots disappear between two and four months. The anterior fontanelle stays open longer, which accommodates a baby’s brain growth. It could close as early as 9 months, but in many cases, this soft spot on the top of the head stays open until 18 months or even later. Should I be concerned if my baby’s soft spot bulges? Don’t fret if you can watch your baby’s pulse in the soft spots. Just consider it a reassuring sign of a functioning circulatory system. It is normal for soft spots to bulge when a baby is distressed or laying face down. If the fontanelle returns to a normal position when the baby is calm and upright, there is no cause for concern. If the soft spot bulges despite these adjustments, seek emergency medical care. The doctor may run tests for conditions like encephalitis or hydrocephalus. Should I be concerned if my baby’s soft spot is sunken? Normal, healthy soft spots curve slightly inward. However, if a fontanelle becomes truly sunken in, your baby may be dehydrated. Seek medical attention. Soft spots are almost always no big deal. Treat them with just a touch of care, and before you know it, they’ll be a distant memory. Talipes: What Causes Club Foot In Babies?What’s The Right Infant Tylenol Dosage For Your Baby?